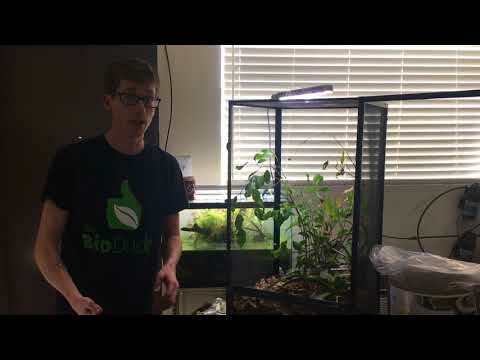 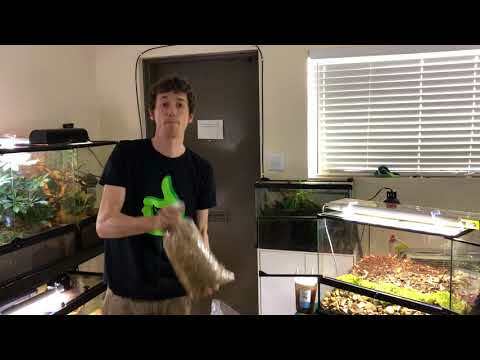 YouTube - The Bio Dude upgrades his breeding pair of carpet chameleons to a 24″x18″x 36″ Exo Terra enclosure that is fully bioactive. 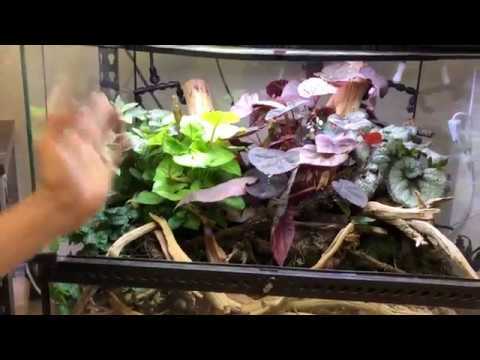 These chameleons are little jewels of the rainforest that will frequent the forest floor and, at times, the under canopy. 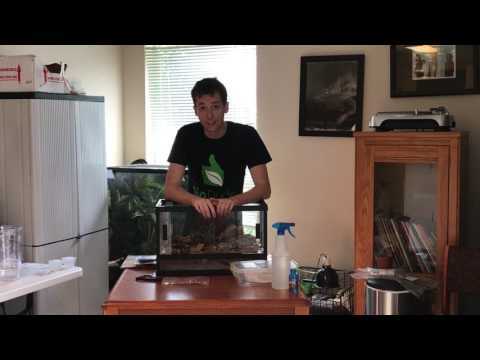 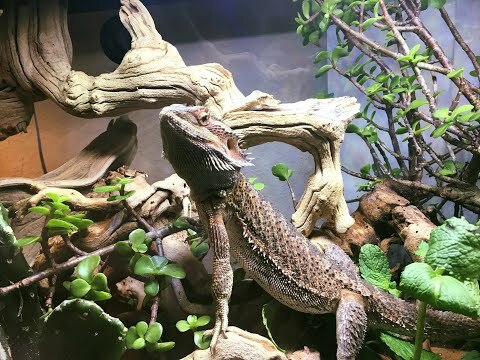 Josh does his best to replicate their natural biome in this self-cleaning and self-maintaining terrarium as closely as possible.